Cup on the Bus: My Eye! 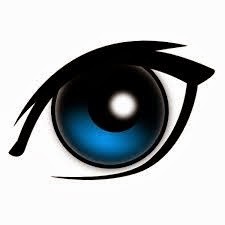 When I was a kid “My Eye!” was an important part of everyday speech in the vocabulary of most of us; even a several times a day part of speech. “My Eye!”, and away we went. I say “My eye” to folks rather frequently these days. I’ve advocated the removal of these cataracts for several years now, and even in January, when I proved my horrible night vision in some special testing (I failed the big E through bright lights test; I could not see the big E through the glare of a headlight light! ), my ever cautious doctor would not let me schedule the second surgery until we passed through the first. “It might not solve your problem,” he cautioned. One day later, at my post op visit, I scheduled my other eye. For March 17th, the first available date. Two months later, and all I want is this whole affair behind me. “If anyone cancels...” I said. Yea, right. Who’s giving up their date to see again. Yesterday was another useless snow day; I went back to bed after being rudely awakened by the obviously millennial school manager at 6-15 for a two hour bus delay and again at 7-45 for school cancellation due to inclement weather. I turned off my alarm and went back to sleep until 9-15! Two inches of cotton under me and two inches of comforter over me! Quarter of ten, about to tuck into breakfast, and I got the call. Some wimp cancelled their pre-op visit, meaning they also give up their cataract surgery date of February 17th. It’s all mine! It can keep on snowing and soon I won’t see yellow snow from my left eye and white snow from my right. All white, all right! The weather was so awful yesterday that the kids and I spent the day in the car, running errands. Snow day, my eye! I go on about the light, but I have to give colors credit, too. I had no idea my eyes were still blue. I thought they had become grey. On the other hand, something rolled under my desk recently and I found and retrieved at once, and without the use of a flash light. I wonder, when I have two new eyes, if I will see through buildings. One can only hope. Cataract surgery has advanced so much in the last 10 years. The comforter warmth reminds me of the midwest winter cold. Only thing good about winter. I had forgotten all about "my eye." Gad you get the date moved up, I only waited 3 weeks between eyes. Months would have driven me mad. Instead of "no way" we used to say "Hit the right!" Apparently a bunch of the kids were familiar with our court system. They will employ you in security at airports...get rid of the x ray machines in favour of you giving the passengers the once over. I never heard of "my eye"... but I sure can relate to the cataract surgery. Since we're birders, I think I began noticing my inability to focus on birds at first... it got worse. But the doctor said I wasn't quite ready... Medicare, you know... took me 2 years to finally get both eyes done... and even worse, I had a reaction to one of the eye drops with the 2nd eye... daily trips from Athens to Columbus.. bummer! But... that 's been nearly 2 years ago and I really appreciate my eyesight. Bill, who is (slightly) older than me, is still waiting for his cataracts to "ripen" enough to require surgery. Just yesterday I realized he couldn't even read some signs that were quite legible to me (Spanish having nothing to do with this situation). What I'm saying is... I am SO glad you are having this surgery done and having it done NOW! Even if you're not a bird watcher, you will be SO thrilled to see colors... and sharpness..... and well, heck... just SEE! I may not ever have heard of "my eye", but, dad gum... I sure know about vision! Go for it! That's great that you were able to get it moved up to the 17th. Soon you won't even remember that at one point in your life you couldn't see so well. Meanwhile, be careful in this weather. hmmm, you take some wonderful photos for a blind lady. I can't wait to see what you post once you can see again. Isn't it the BEST???? I'm so happy you're enjoying your miracle and thrilled that you're getting the next day done early! Hugs and best wishes for a safe #2. OH!!!!!!!! Just today I saw you had posted a review for Friday Girls! THANK YOU, THANK YOU, THANK YOU. You are a dear, sweet, wonderful woman, Joanne. Extra hugs just for being you. Next eye, not day. Maybe I need mine done again... MY EYE! Hi Joanne, I echo Nessa's comment! I'm glad about your eye. We are up to seven snow days. We only get six. One down, one to go. Hope the second eye goes as well as the first. I'm so happy for you that you can see so much better already. We used to say "my eye!" too but I had forgotten all about it! Thanks for the memory. We used to say in a pig's eye, but that was pretty rare, most kids said pig's bum or the cruder pig's arse. I'm so glad about you being able to see properly again! How wonderful that something good came out of all these horrible snowstorms. Glad your surgery will be moved up sooner and the end is in "sight" to have great "sight." That's going to be exciting! We avoid yellow snow in these parts. That's great news. I am glad that they moved your next surgery earlier. Soon, you will be able to see through buildings. Lol. oh, lucky you! yes, get it over with. cold and overcast here. it's been a long cold winter. we've already had two and a half months of winter, our normal span more or less, and it's still just the first week of February. I am so over it. Yay for the new view and blue eyes! 'My Eye' was an expression much used in our house when I was a child and meant exactly the same thing. All the best for March 17th. When I went to an optician a couple of years or so ago, I was told that I had cataracts starting and that my sight could go in 5 years. I wasn't happy with the way they handled things and went to a different (professional) optician in January. I had a thorough examination and pictures taken of the backs of my eyes. Guess what - no evidence of any cataracts and my eyes are totally healthy for my age. Just shows doesn't it. Just read that you now have an appointment scheduled for 17th Feb - that's brilliant - hope all goes well. Yes. You will have x-ray vision. I've never said my eye. I would like to say my aunt's fanny, but I found out what fanny is Brit-speak for and it's not the rear end so I don't say it. Well you learn something every day I never heard that expression before. I hope the cataract operation goes well for you, Miss Joanne. And may our good Lord guide the hands of the surgeon for you to see clearly in the future! :) Keep warm!